Super useful tool when sorting small gems, minerals, beads, gold nuggets or any small items. 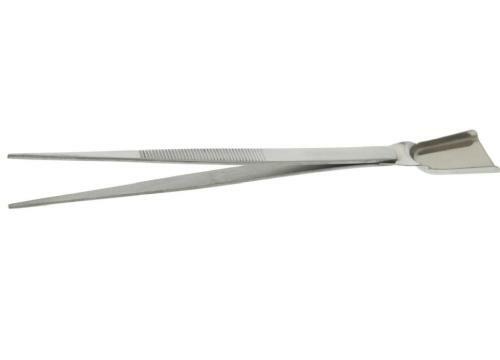 7″ tweezers with attached scoop. Shovel tweezers are a very useful tool for any rockhound when sorting small gems, minerals, beads, gold nuggets or any other small items. These stainless steel 7″ tweezers with attached scoop will save you time and frustration. Use these tweezers to sort your Montana sapphires out of the gem dirt. The fine end is great for picking up any small gemstones or plucking the gold nuggets out of your pan. Great gift for the rockhound in your family.